The ultra-luxurious Residences at Mandarin Oriental sit within one of the city’s most prestigious areas, topping a landmark, high-rise hotel. Serving up sensational views of Atlanta, the private condos are customized with extreme attention to detail, from spa-like baths to oversized terraces and chef’s kitchens. With tasteful designs of mostly two- to four-bedrooms, the location also features a more exclusive selection of individual villas. Listed below are recently closed sales at Mandarin Oriental Residences in Atlanta. Whether you’re thinking about buying or selling a condo at The Residences at Mandarin Oriental, checking to see what other comparable properties have sold for in recent weeks and months provides helpful insight into current market conditions within the community. 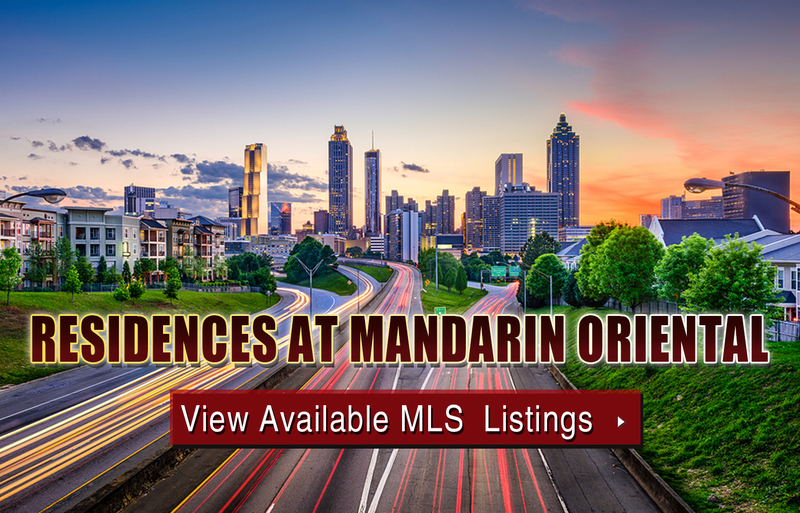 For more information about Mandarin Oriental Residences condos for sale or for a complete list of recent condos sold in the neighborhood, contact The Zac Team today! Can’t find what you’re looking for in Atlanta’s Mandarin Oriental Residences high-rise? Start browsing other Atlanta real estate for sale or give the Zac Team a call at 404.564.7272 for help with your new home or condo search today!